Warming relief for frozen-out fingers and hands. Fleece-lined wool construction, fortified with non-bulky ThinsulateTM Insulation, locks in essential body heat even when damp. And to kick your hand temperature up to 11, each fold-back cap has a pocket for a standard-size warmer packet. Toasty! 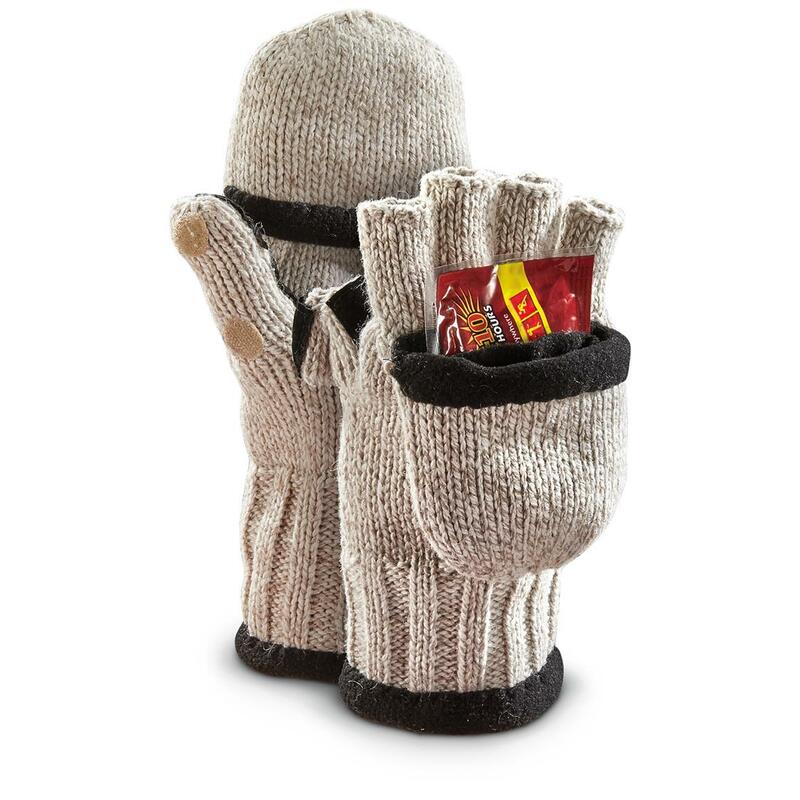 Includes a pair of warming packets to get your hands cozy right out of the box! Fleece-Lined Thinsulate Insulation Ragg Wool Gloves with Hand Warmer Pockets is rated 4.4 out of 5 by 5. Rated 2 out of 5 by BobS from Can't Review I was sent womens gloves instead of men's. Package was labeled as men but gloves were womens. Rather than the hassle of returning, I will give them to my wife, but with weather in the 80's will not be wearing them. They appear to be good gloves but I'm not taking a chance on getting the wrong ones again. I will order gloves somewhere else. Rated 5 out of 5 by Minus40 from Warm Very warm and work well with chemical heaters, also works with small USB heat unit that I had. Rated 5 out of 5 by Miriam from Very warm gloves for the out of doors! 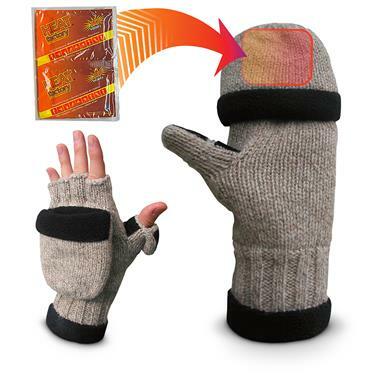 Rated 5 out of 5 by Utility 1 from cozy warm Yes, these gloves really work!! Haven't had to use the hand warmers yet, but nice option to have.